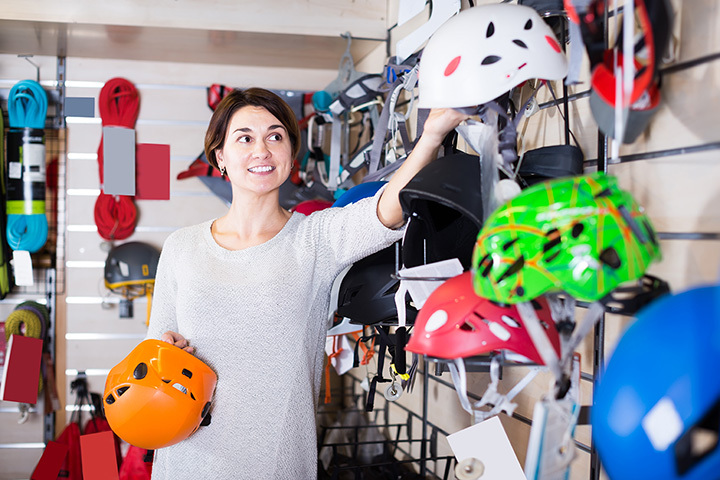 The 10 Best Sporting Goods Stores in Louisiana! When you invest your time and energy to engage in your favorite sport, you want to know you can count on finding the right equipment, apparel, and supplies that will help meet performance goals. At Louisiana’s great sporting goods stores, you’ll find everything from hunting and fishing supplies to hiking boots and workout gear. Here are our favorites. When you run hard and play hard, you need clothing and shoes that can live up to your expectations. Varsity Sports in New Orleans, Mandeville, Metairie, and Baton Rouge is just the place to find the right apparel and accessories whatever your favorite activity is. With items for men, women, and children, you can count on the quality and longwearing ability of what you buy, and if you have questions, the friendly staff can help you find exactly what you’re looking for. Named “Best Specialty Store in the Southeast” by Runner’s World, listed in the “Top 50 Running Stores in America”, and winner of the Northshore’s “Best Sporting Good Store” and Gambit’s “Top 3 Sporting Good Stores in New Orleans, Varsity Sports is open every day except Sunday. With combined experience of over 200 years, the staff at Simmons Sporting Goods in Bastrop, Louisiana, is ready to help you select the outdoor gear and equipment you need. This 70,000-square-foot store has it all—ammo, archery supplies, cameras, camping gear and equipment, apparel, hunting supplies, and more. Online orders over $99 get free shipping, and there’s always a 100 percent guarantee and 30-day returns on what you purchase. With name brands like Mathews, Hoyt, Bear, PSE, Trophy Ridge, Rage, and Plano, they also have the largest selection of firearms from manufacturers like Smith & Wesson, Knight, and Ruger. Bell’s Sporting Goods has been serving the needs of the local community since 1946. Customer service and satisfaction is the overriding motive behind everything done at this little store located in Lafayette, Louisiana. When you shop here, you can count on the latest and most innovative solutions to your fitness goals, weight training, and overall health from trusted names like TuffStuff and BodyCraft. You can also depend on their expert service that doesn’t stop when you walk out the door. When you stop and purchase your next firearm or piece of hunting equipment at Spotted Dog Sporting Goods in Columbia, Louisiana, you’ll be seriously impressed. Originally a pawn shop when it was purchased in 1995, the shop was relocated a few years later, Spotted Dog has become a one-stop shop for the best brands like Remington, Browning, Savage Arms, Under Armour, Vortex, and Mathews. They’re also a premier dealer for Yeti, which means you save money by purchasing their products here. Forty years of experience and over 1,400 square-feet of select inventory await you at Ed’s Sporting Goods in Kaplan, Louisiana. Always ready with helpful advice about hunting, you can also find your favorite brands like Beretta, Winchester, Weatherby, Remington, Browning, and Wolf. They have a shooting range and knowledgeable staff to assist with your purchase or help you refine your skills, and they’re also available to host your special event. Open seven days a week, you owe it to yourself to stop by Ed’s. Part of the True Value Hardware family, T.P. Outdoors has two convenient locations in Monroe, Louisiana, and is dedicated to providing their customers with the best in sporting goods and equipment and learning opportunities. This family-owned business has been around for over 80 years, and they don’t stop serving when you walk out the door. With specialty products for archery and hunting, they carry recognized brands from Adaptive Tactical, Convergent, Marlin, Pulsar, and Uberti, plus many more. They have an indoor shooting range and offer conceal carry classes in gun safety. You can always count on being treated with respect and courtesy at Thompson Creek Sporting Goods in Jackson, Louisiana. With a knowledgeable staff, a well-stocked store, and great prices on name brand rifles from Remington, BLC2 powders, and many hard-to-find items that will make your next hunting trip successful. If you’re looking for a great one-stop shopping place for everything from baseball to football, basketball to soccer, and other team sports, you’ll know you’ve come to the right place when you visit Athlete’s Corner. Located at Lake Charles, Louisiana, this sporting goods store has been open since 1981, delivering the best in equipment, uniforms, supplies, and shoes. They’re also a recognized team outfitter and screen printer for local groups, and carry products from well-known brands like Nike, Under Armour, Easton, and Rawlings. When Grundmann’s opened its doors in 1955, they knew they wanted to be known as the premier place for junior and senior high school, college, and professional sports teams and enthusiasts. Knowledge, quality, and service are the pillars of their success, and it’s what keeps customers coming back. Whether you’re participating or sitting on the sidelines cheering on your favorite team, you’ll find expert knowledge and helpful information on a variety of gear and equipment from leading companies like Wilson, Reebok, Schutt, and more for apparel, footwear, too. They’re happy to answer questions about safety and selecting items for proper fit and performance. Cryer’s Sports, located in Leesville, Louisiana, is a hard-hitting source for screen printing, monogramming, banners, trophies, plaques and other awards, and custom-designed t-shirts for any sport or sporting event. Open every day from 9 a.m. to 5 p.m. except Saturday and Sunday, you can choose from a design library with over 9,000 choices, or bring in your own design and have it sewn, printed, or embroidered on almost any piece of apparel. Fast and friendly, there’s no reason to go anywhere else.